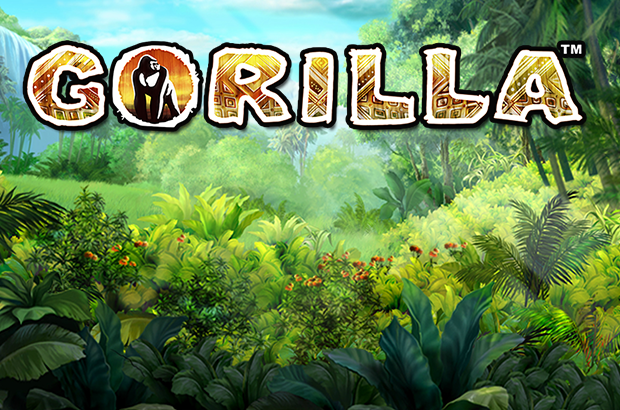 Bigger MaxBets, great chances of winning and a powerful slot creature as your ally: With a little luck Highroller Gorilla will be a spin extravaganza like no other for you! 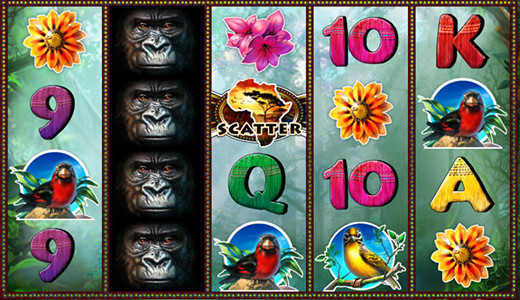 Your aim in Highroller Gorilla is to line up 3 to 5 matching symbols side by side along one of the active win lines on 5 reels and up to 50 win lines – starting on the 1st reel. But there are exceptions: The Gorilla or Red and Yellow Bird symbols only need to land twice to grant you winnings if your luck is in. The Totem Mask symbol, however, acts as Wild and can substitute for other symbols to complete winning combos. Moreover, you can pocket 10 Free Games in Highroller Gorilla which are played with the same settings as the spin in which they were triggered. All you need for this to happen is 3 Africa symbols (Scatter) appearing on the reels. What’s more, in each Free Game another Wild is added to reels 2, 3, 4 and 5 which considerably increases your chances of winning. You might also win 5 more Free Games during the Free Games if enough Scatter symbols land on the reels. Afterwards, no more additional Free Games are possible.